Supporters of the Popular Front for the Liberation of Palestine (PFLP) on Tuesday torched photos of Palestinian President Mahmoud Abbas during a rally in Gaza City in the latest protest against his decision to cancel funding to the faction. Participants shouted slogans slamming Abbas’ recent decision to pull funds allocated to the group through the PLO National Fund and set photos of the president ablaze. The party’s red flags were waved alongside photos of Omar al-Nayif, a prominent PFLP leader who was allegedly assassinated by Israel in the Palestinian embassy in Bulgaria 40 days ago. The rally kicked off from al-Saraya square and ended at the Unknown Soldier square in Gaza City, where senior PFLP political leader Jamil Mizhir alluded to the possibility of Palestinian officials’ complicity in al-Nayif’s murder. 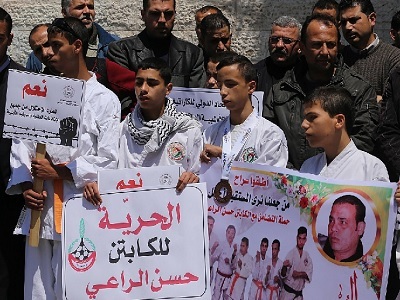 Mizhir also vowed continued struggle against the ongoing Israeli military occupation, demanding the release of Palestinian prisoners from Israeli jails and the return of bodies of Palestinians currently held by the Israeli authorities. Tensions surged on Monday after news broke that Abbas had decided to withhold funds from PFLP for February and March that had yet to be paid. Leaders of the left-wing party believe the decision came in reaction to recent criticism by the party of the president. “We believe the decision was made in light of the PFLP’s opposition to Abbas’ policy concerning security coordination with Israel,” PFLP leader Kayed al-Ghoul said Monday, noting that PFLP leaders had repeatedly criticized Abbas over the non-implementation of resolutions made by the PLO’s Central Council to suspend coordination. The Palestinian public has become increasingly critical of Mahmoud Abbas’ Fatah-dominated Palestinian Authority since a wave of unrest erupted in October. 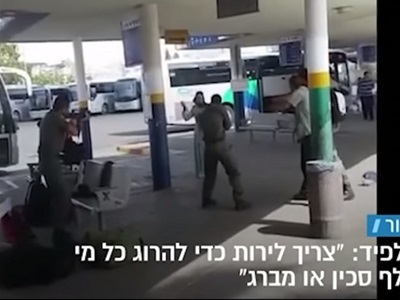 A number of factions — mainly Hamas — have said the PA has worked with the Israeli authorities to quash resistance against the occupation, with Hamas last week slamming the PA for allegedly detaining Palestinians on Israel’s behalf.